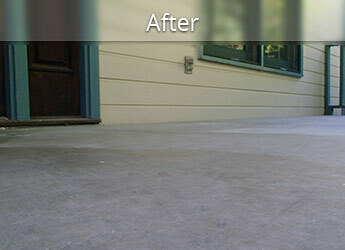 If you're a homeowner faced with costly repairs to your property (i.e., pool decks, cement patios), turn to PurLift. Our concrete raising process is clean, simple and cost-effective-instead of removing and re-pouring your concrete, we repair it on the spot, potentially saving you thousands of dollars. This lets you allocate the cost savings to other priorities. Uneven sidewalks are unsightly and can create trip hazards that are unsafe and expose you to unnecessary liabilities. Concrete raising and joint stabilization is an economical way to make your home safe and beautiful! Your patio or front porch can sink and pitch your property, causing water to flow toward your foundation. 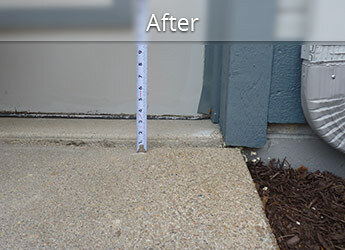 PurLift can raise these areas of concrete and correctly pitch the water away from your home, keeping it out of your basement. Pools are great to enjoy all summer long. Keep yours safe and prevent falls by correcting uneven slabs. When polyurethane is used, repairs are barely noticeable. With small and few injection holes, your pool area will look great and be safe for you to enjoy all summer long! 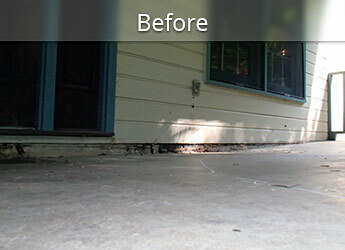 If your garage floor is cracked or uneven, call PurLift! Raising cracked slabs with polyurethane can restore your garage floor, making water problems a thing of the past. If your garage floor has settled, instead of having it demolished and re-constructed-which can be costly, messy and time consuming-PurLift will evaluate whether concrete raising can work for you. Vibrations, animal damage and washouts can displace and erode supporting materials, creating voids under your concrete slabs that will cause them to sink. Filling these voids with polyurethane will raise the section to the correct level. Even if the concrete is not settled, voids can cause slabs to crack when they are not supported from beneath. Polyurethane foam can fill the void and prevent further water damage. Do you notice a bump every time you pull into your driveway? PurLift can fix that! 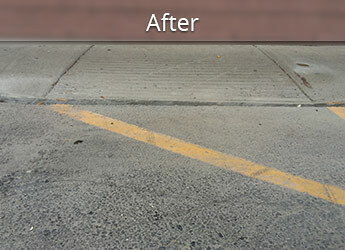 Cracks can be leveled by way of concrete lifting to achieve an even, smooth driveway. A sunken step can be a challenge to manoeuvre. 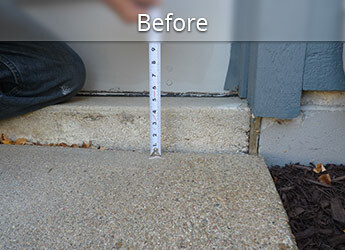 PurLift can correct your step, raising it to the standard step height required by code. Precast steps cannot be raised using the polyurethane technique-they are hollow and will shatter if drilled into. However, precast steps are commonly set on a slab; this slab, if settled, can be raised to make your stair even and safe. PurLift can repair a concrete slab to help maintain a safer environment for workers and to cut down on lost time due to spills or accidents caused by an uneven concrete slab. With concrete raising, you avoid the downtime of tearing out and re-pouring concrete. 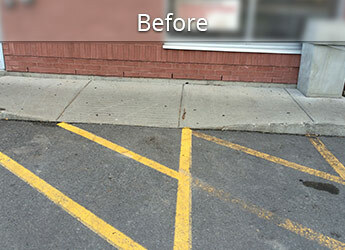 PurLift can repair a slab without interfering with daily operations. Concrete raising reduces downtime and eliminates liability issues. Commercial property owners are responsible for personal injury. As such, concrete raising is an economical alternative to eliminate trip hazards. PurLift repairs concrete safely and with minimal disruption inside and/or outside your place of business, plant or warehouse. 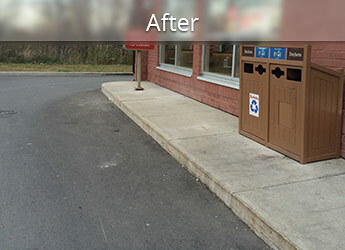 PurLift offers municipalities a cost effective and environmentally friendly alternative to concrete replacement. Concrete can be raised back into place quickly, often for less than half the cost of replacement, and with no demolition or disposal of existing concrete, which adds to already overburdened landfills. Concrete leveling saves residents, businesses, and municipalities the money, time, and hassle involved in cement replacement. Municipalities recognize the need to eliminate 'trip-and-fall hazards’ and this is the most sensible solution. Applying polyurethane concrete raising technology to restore base soils under concrete pavements will extend the life of your concrete by decades.